Welcome to the Be Inspired Design Team Blog Hop. You may have just arrived here from the amazingly Jenny Hall talented from the US. If you are starting here please make sure you hit the next button at the bottom of this post and hop all the way around. The theme for this hop is 'Be Inspired by Texture'. 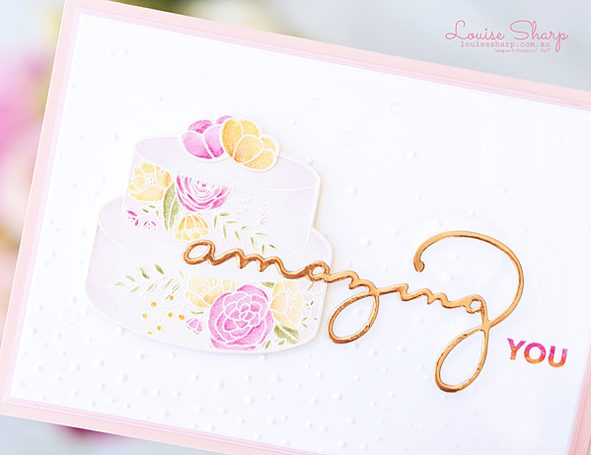 I used the new stamp set Cake Soiree from the Occasions Catalogue and watercoloured it using Watercolor pencils and an Aqau Painter. 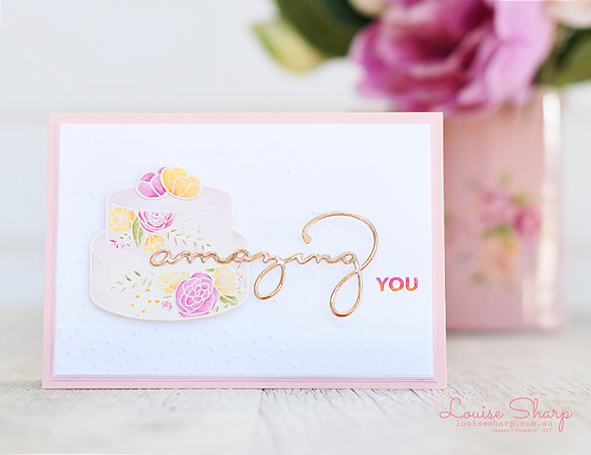 The 'amazing' sentiment was created using the Celebrate You Thinlits Dies and coordinating Amazing You stamp set which are both part of the Sale-a-Bration 2018 promotion. I made this card for our darling daughter, Emily, who is celebrating her 15th birthday today. It's hard to believe that 15 years have passed since bringing this amazing human into the world and yet other days it feels like she has always been a part of me, as though life didn't really exist until she was born - (I think you would have to be a Mum to understand or make sense of that). I feel incredibly blessed and grateful everyday that I get to be a Mum to such a caring, kind and loving soul. Next up to 'Be Inspired' by is my talented and fabulous friend Brian King from the US and his card is brilliant - of course! 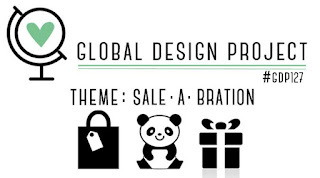 I am also adding this card to this weeks Global Design Project #127 challenge using Sale-a-Bration products. I suggest going and seeing all the brilliant creations of the Design Team this week - only after hopping around the Be Inspired Team of course!